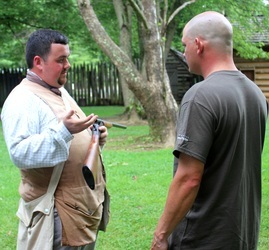 One of the icons of Carter County is the annual re-enactment of the events that took place in this area more than two century ago. 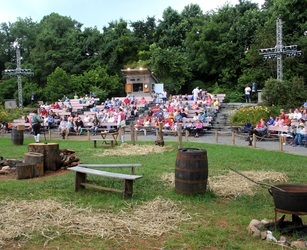 The outdoor drama "Liberty", which was originally called "The Wataugans" is performed each summer and is the "Official Drama" of the state of Tennessee. 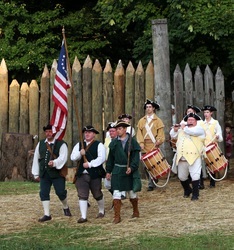 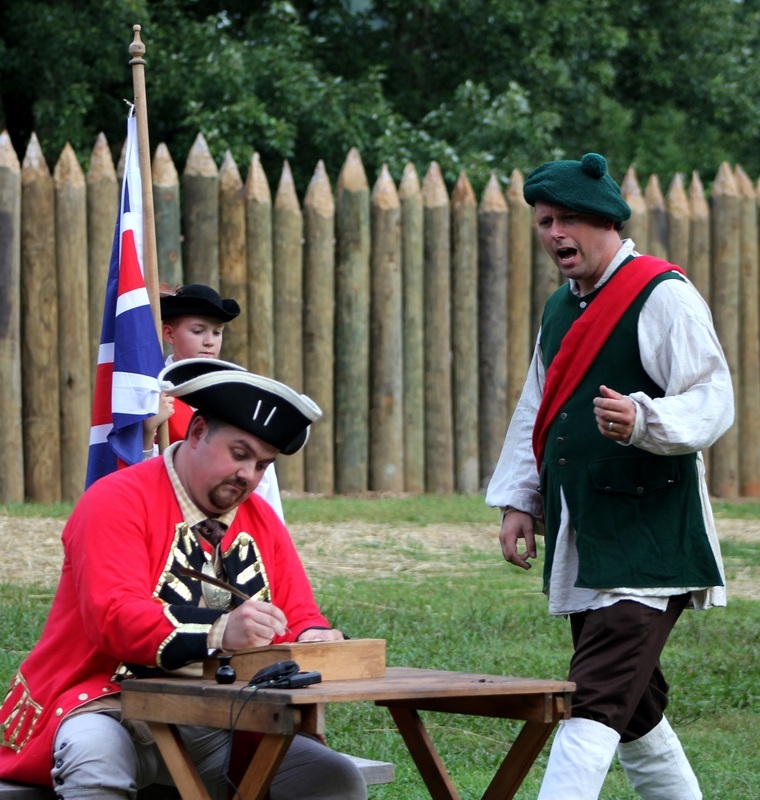 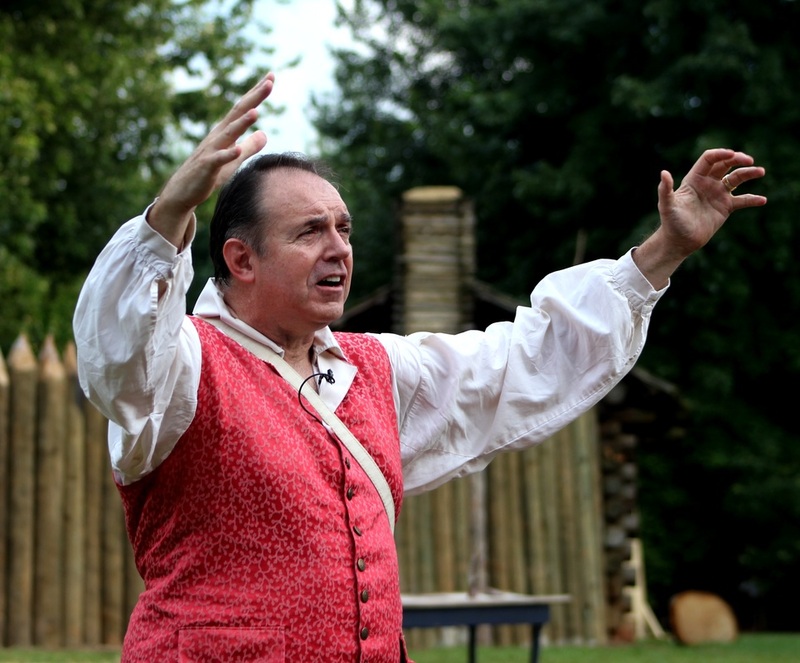 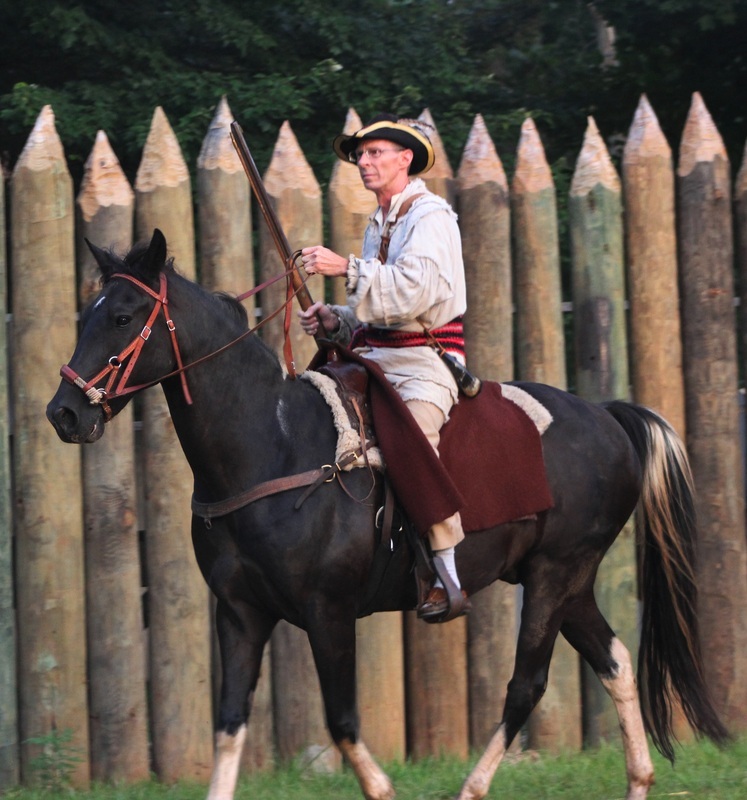 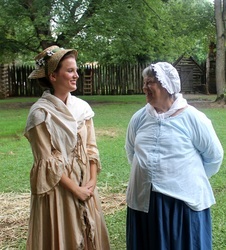 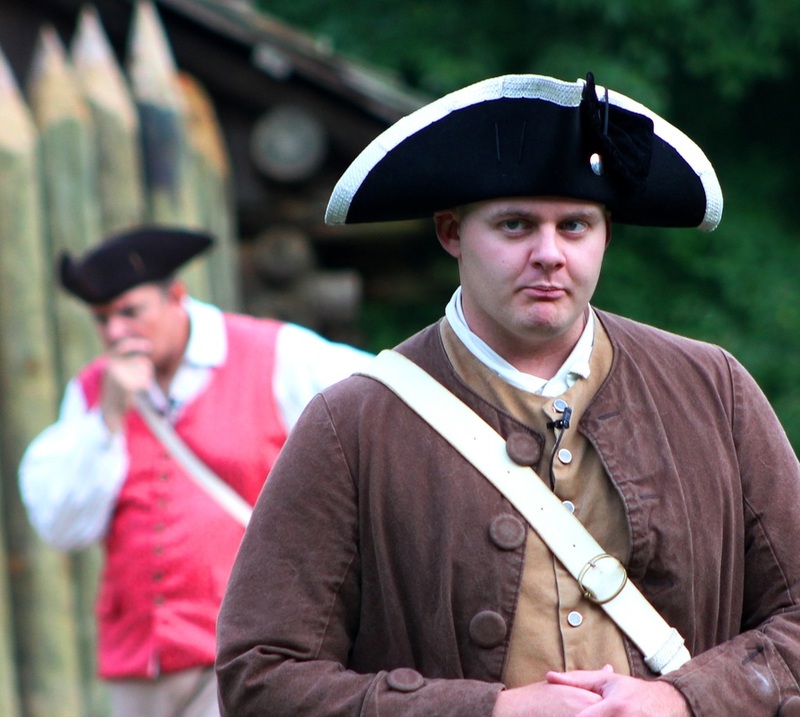 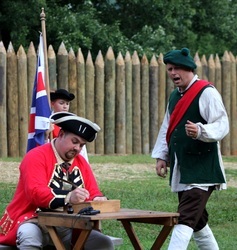 Performed at the Sycamore Shoals state park, the drama is presented by a cast of volunteer actors against the backdrop of the Sycamore Shoals' historic Fort Watauga. 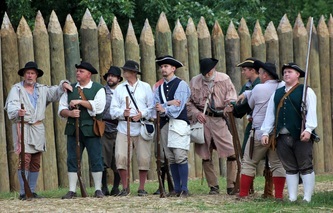 Opening in July each year, the re-enactment is performed Thursday through Saturday on the last three weekends of the month. 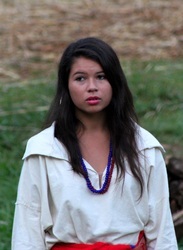 There is also an authentic dinner that is offered the nights of the play and is available by reservation only. 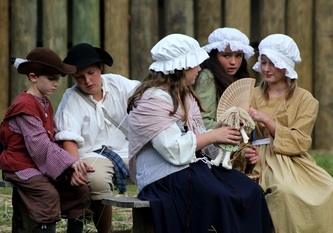 The family style meal is served by members of the cast which are dressed in late 1700's attire and food is similar to what was served in that era including roasted corn and fire cooked turkey legs. Visitors are also welcome to visit the newly opened historical museum before taking the short stroll to the outdoor theater After being seated, the crowd is greeted by key cast members and the stage is set for the performance to begin. 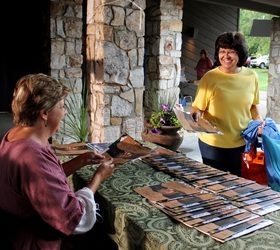 Backstage during the dinner and introduction to the saga, the remaining cast members are preparing for the night's show. 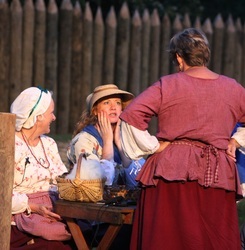 Everything from war paint, to horse drawn wagons and pyrotechnics are put in place awaiting the opening scene. 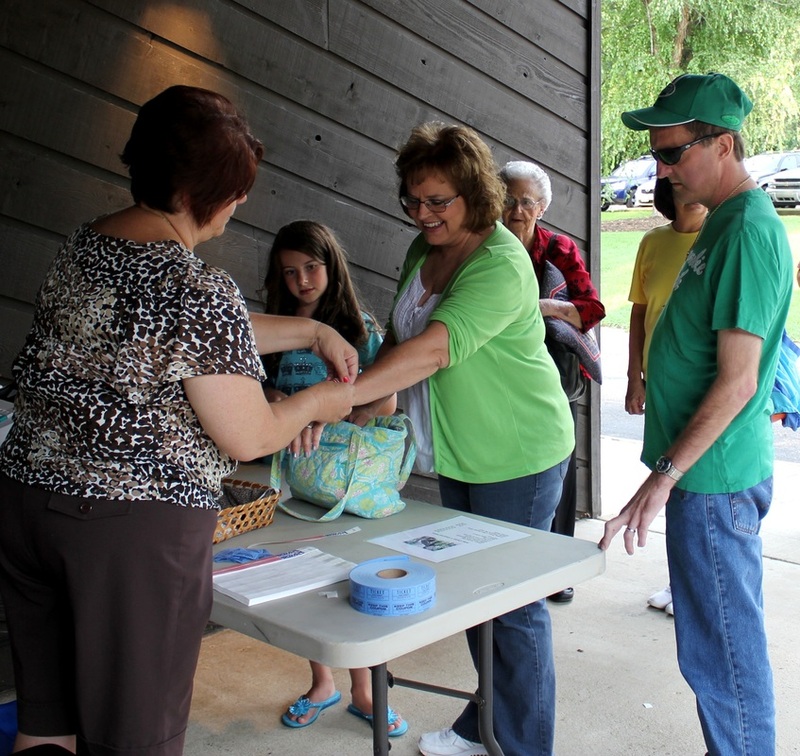 There are approximately 100 volunteers from the area that make up the cast and crew. 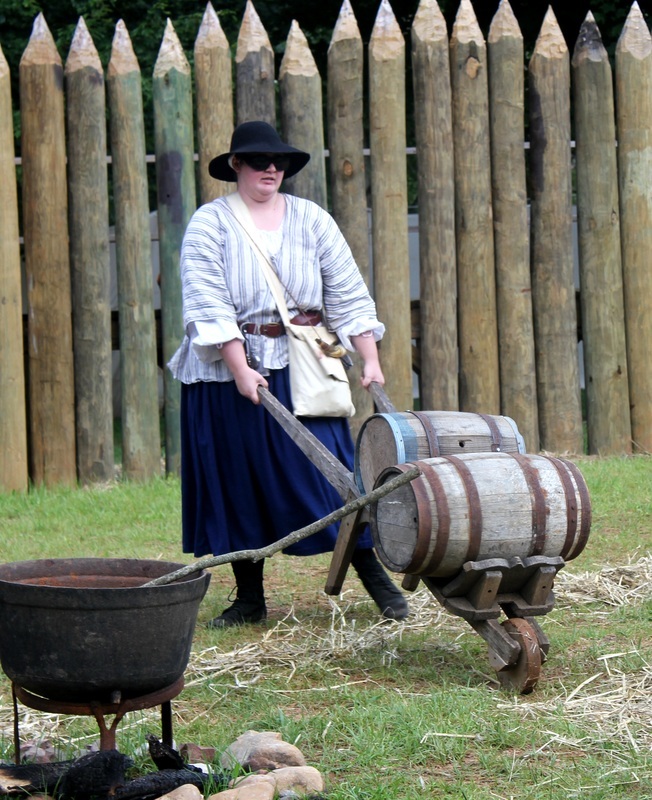 Many hours of hard work are put into the production. 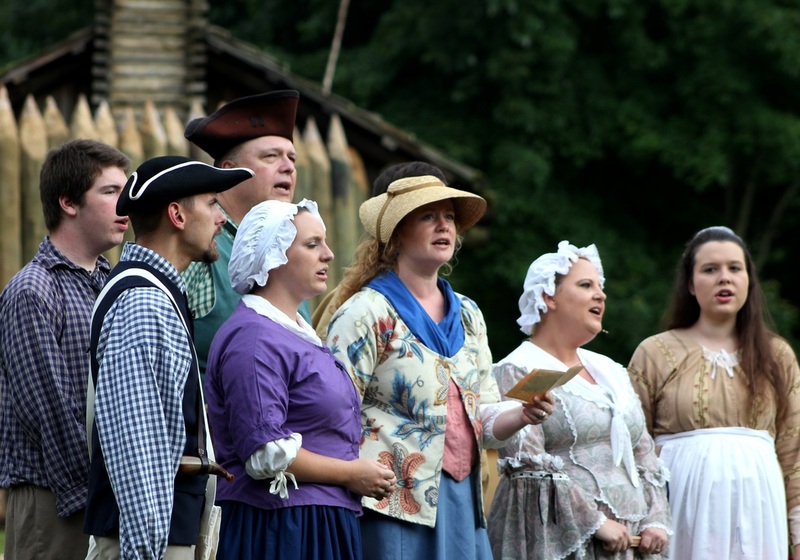 Practice begins several weeks before the show and many rehearsals are completed. 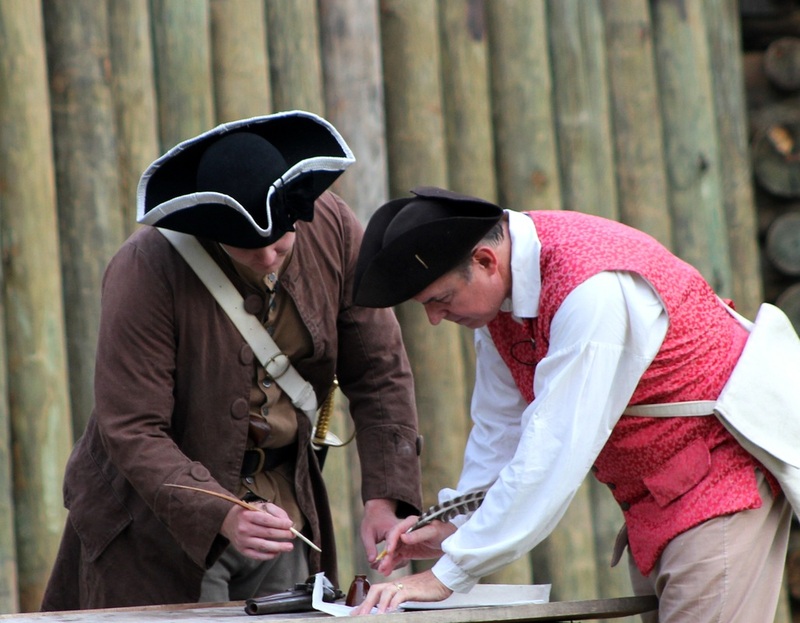 All speaking parts are memorized and each cast member is taught to hit his or her marks. No scripts are used by the actors and actresses during the show. Cast members range in age from very young to seasoned veterans. Sometimes entire families participate in the show which builds lifetime memories as seen above as this father and daughter team prepare minutes before the start of the presentation. 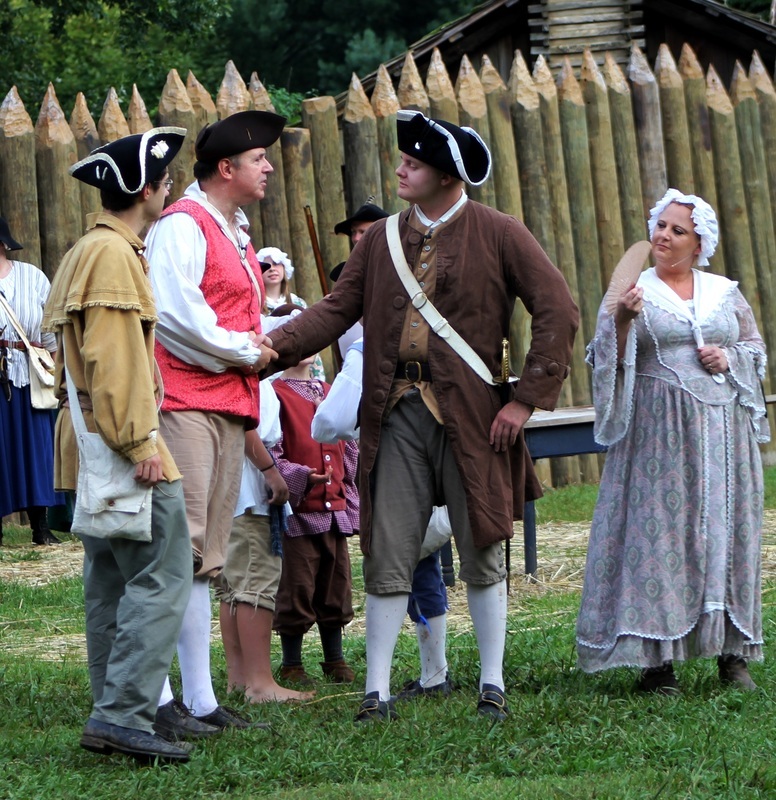 The Saga begins with: "Leaving the protection of the English Colonies, hunters and settlers began crossing the Appalachian Mountains in violation of the British Proclamation of 1763. 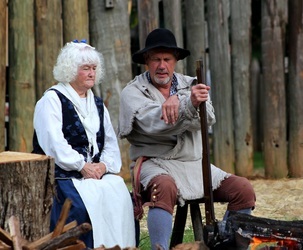 Along the Watauga Old Fields, families soon made their homes, formed a new government, bought and traded land from the Cherokee, and ultimately, during the American Revolution, fought for the freedom we hold so dear today"
The story they tell begins with the earliest days of the Watauga Settlement along the Watauga Old Fields and the arrival of long hunters and European settlers on what was Cherokee land. 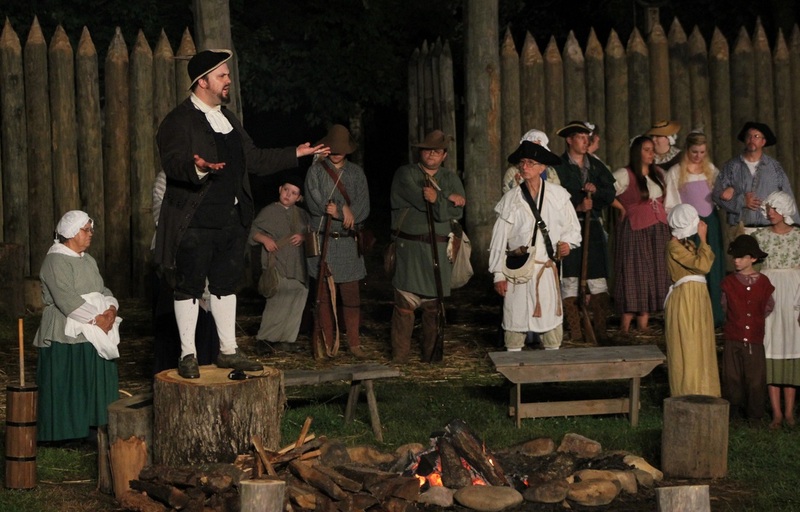 As two very different cultures come together west of the Proclamation Line of 1763, coupled with the effects of the American Revolution, a host of dramatic and emotionally trying events begin to unfold in their lives. Ultimately, the Watauga Association, the first majority-rule system of American democratic government, was formed in 1772, when the settlers elected five of their number to "govern and direct for the common good of all the people." 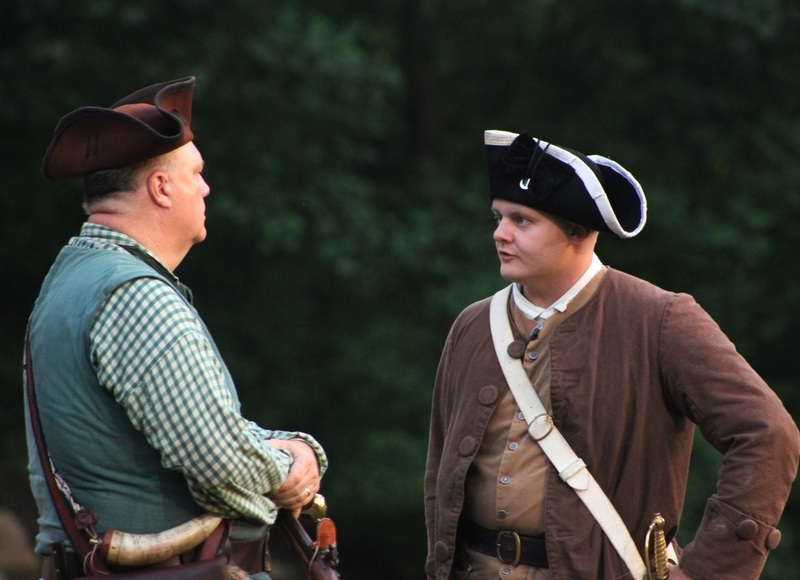 These Articles of the Watauga Association invested in those elected representatives the legislative, judicial and executive functions of their fledgling government. 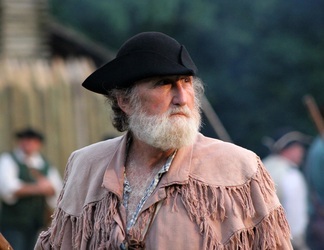 It was at Sycamore Shoals in March 1775 that the largest private real estate transaction in the nation's history took place, the Transylvania Purchase. A company led by Richard Henderson of North Carolina bought 20 million acres of land, stretching from the Cumberland River watershed to the Kentucky River. 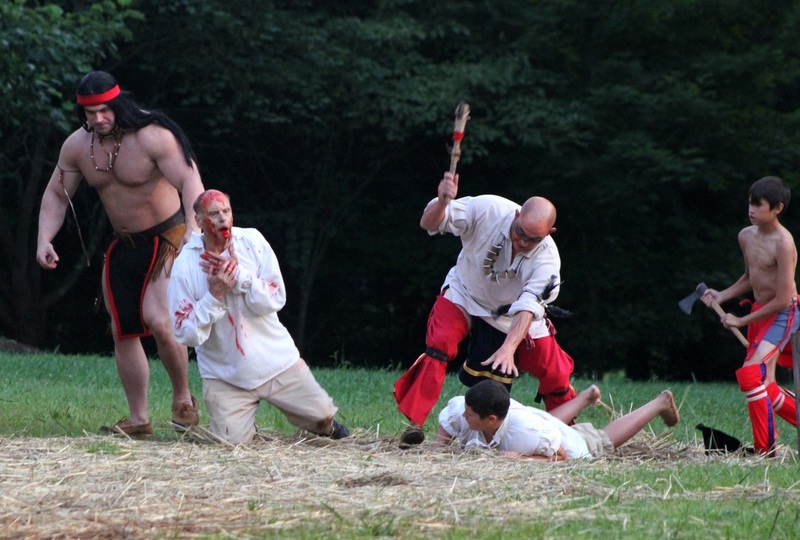 The Transylvania Company paid the Cherokees 2,000 pounds sterling and goods worth an additional 8,000 pounds for the land. Prior to the deal being closed, Native Americans totaling more than 1,200 spent weeks in counsel at Sycamore Shoals debating the merits of the deal. 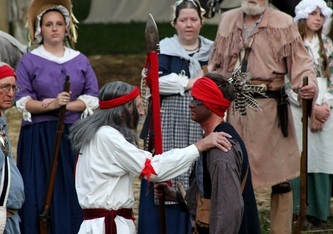 Cherokee warrior Dragging Canoe was firmly against giving up the land and resisted the deal, but was overridden by Chief Little Carpenter who ignored his misgivings and signed the deed amid great ceremony and celebration. In 1776, a year after the Transylvania Purchase, settlers constructed Fort Watauga on property owned by miller Matthew Talbott. The fort became a refuge and means of protection for all of the families living along the Watauga when Dragging Canoe, aided by English agents, waged war against the pioneers, determined to drive them from the lands they felt they had purchased. 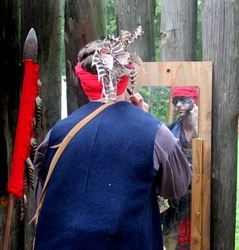 A band of warriors under Old Abram of Chilhowee laid siege to the fort for approximately three weeks, but when the settlers refused to surrender, the Indians gave up and departed. The slate of leaders present at the Watauga settlement reads like a roster of state and national historical figures. 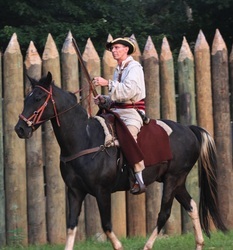 The commanders included Col. John Carter, Capt. James Robertson, who would found Nashville a few years later, and Lt. John Sevier, the man who would be Tennessee's first governor. One of the most significant events associated with Sycamore Shoals was the muster of the "Overmountain Men," a militia comprised of citizens who fought and defeated a Loyalist army at the Battle of Kings Mountain. 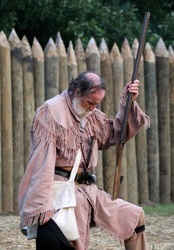 The Overmountain men were responding to a threat sent to the settlements via British Major Patrick Ferguson who was given command of the Loyalist militia in the Carolinas. 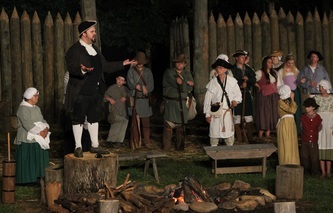 If the "rebels" did not cease their opposition to the Crown, he threatened to "march his army over the mountains, hang the leaders and lay waste their country with fire and sword." On Sept. 25, 1780, approximately 1,100 men gathered at Sycamore Shoals and marched in pursuit of Major Ferguson and his Loyalists. 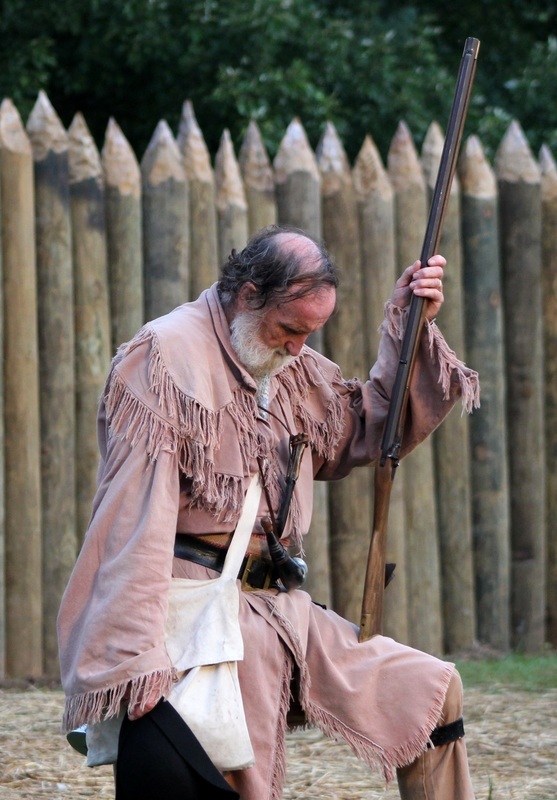 The Overmountain men caught up with Ferguson on Oct. 7 at King's Mountain in South Carolina and soundly defeated the British forces with Ferguson being killed in the hour-long battle. The victory of the "Overmountain Men" at King's Mountain is considered by many historians to be a turning point in the Revolutionary War. 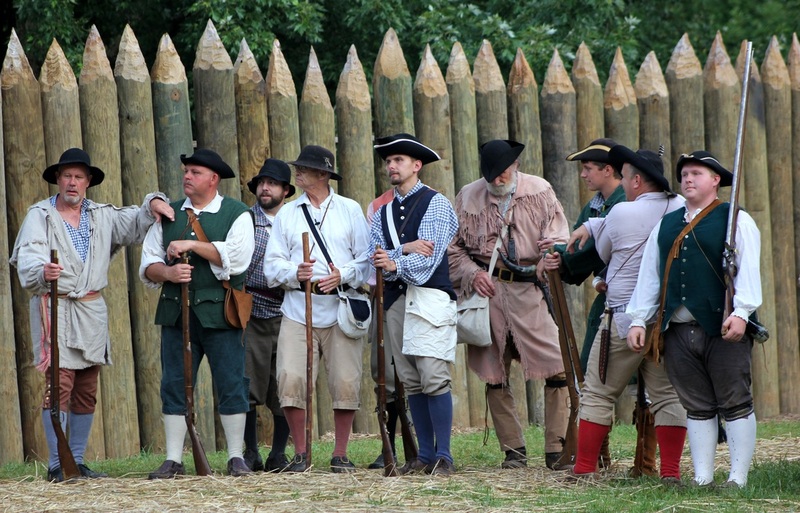 Indeed, Sir Henry Clinton, commander of British forces in America, later pronounced Ferguson's defeat at King's Mountain as "the first link in a chain of events that followed each other in regular succession until they at last ended in the total loss of America." The show is sponsored by Friends of Sycamore Shoals State Historic Area. Below are several photos of the Liberty performance. 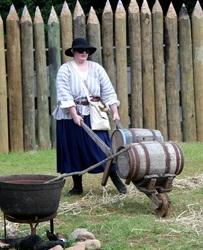 To view please click on the first photo then use your left and right arrow to scroll through the photos.